Oscar Nominee and Student Academy Award® Winner, GREGG HELVEY, has traveled the world to film in countries such as Rwanda, El Salvador, Egypt and Kenya. The Academy of Motion Picture Arts and Sciences (AMPAS) recognized Gregg’s passion for powerful storytelling and invited him to become a lifetime member of the Academy. In 2013, Helvey was appointed Chairman of the Student Academy Awards. He also serves on the executive committee for the Short Film & Feature Animation branch, the selection committee for best Foreign Film, and he is a reader/judge for the Academy’s Nicholl Fellowships in Screenwriting. He currently votes in all Oscar categories. Helvey wrote, directed and produced Kavi, the 2010 Oscar-nominated short ﬁlm that also won the 2009 Student Academy Award® gold medal in the narrative category. Kavi was filmed entirely on location in India and tells the story of a young boy who wants to play cricket and go to school, but instead he is forced to work in a brick kiln as a modern-day slave. Kavi has played in over 100 festivals world-wide and has won over 50 awards. Helvey has also partnered with a number of anti-slavery organizations to put Kavi into use. It has screened to over 50,000 school children, law enforcement, and local government officials in Southern India, through International Justice Mission (IJM) as part of training programs that create a heart connection to the issue. It is also being used by Dalit Freedom Network UK, and was used by the Coalition Against Slavery and Trafficking (CAST-LA) to help pass legislation in the California senate requiring corporations to have slavery-free supply chains (California Transparency in Supply Chains Act – SB657). With his knack for directing in languages he doesn’t speak, Helvey has now expanded to working in China, as well, where the entertainment business is growing at a rate of 8 to 10 new movie screens per day. Helvey received his M.F.A in film production from the University of Southern California’s School of Cinematic Arts, and his B.A.s in English and French from the University of Virginia. HARISH AMIN is one of India’s most respected film professionals. 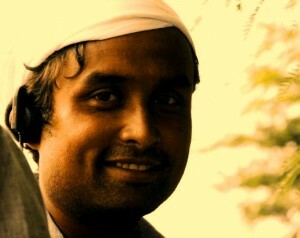 He is a one-of-a-kind production manager and producer, with a keen interest only in helping to create beautiful films. Speaking Tree Films is his way of giving back to the industry which has given him so much over thirty years. 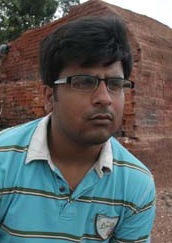 Harish has a skillful eye for spotting fresh talent and assembling a passionate and professional production team. To his credit he has successfully managed productions for directors such as Mira Nair, Wes Anderson, Fabio Carpi, Joel Fargues, Vincenzo Tarquini, Vic Sarin, Farhan Aktar, Gustad and Homi Adajania. 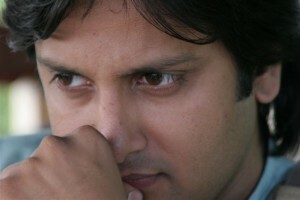 VIKAS CHANDRA was chosen as one of the Top 50 young filmmakers in India in 2004 at the Osians film festival. In 2006, he worked on A Green Agony, a film made on the impact of climate change in the Sundarbans in India. The film was shown on Discovery and was nominated for the Green Oscars. Vikas has worked across the Indian film and TV industry starting with documentaries, moving on to commercials, short films, feature films and is now writing for films and TV. 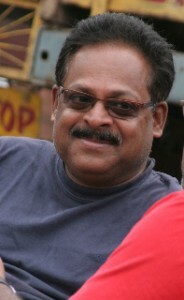 He has directed over a 100 songs and a couple of episodes for Indian television. Vikas is based in Mumbai, India, and is currently working towards his first feature film, a bitter-sweet tale of a Korean couple settled in New Delhi, India. 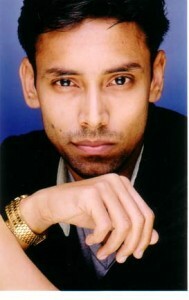 HANISH KAILA has worked in international shows like the The Amazing race, Peking express and Indie 2007. His forthcoming projects include prestigious hindi films like Anil Kapoor’s Aisha, Kumar Taurani’s Prince and Pritish Nandy’s The Accident. 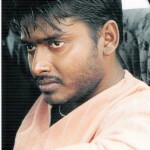 He has also made a short film HIV R+ve that has been screened at various NGO’s across India to educate people on AIDS. Hanish aspires to be a film maker who makes cinema that educates in a very entertaining way. MARGAUX HELVEY is the Director of Development and Community Engagement at the Downtown Women’s Center (DWC). In addition to fundraising for DWC, she also oversees the volunteer department, and develops strategic partnerships with community and corporate organizations to further DWC’s mission of ending homelessness for women in downtown Los Angeles. Over 2500 volunteers a year serve DWC in a range of capacities, including cooking nutritious meals, sorting donations, leading job-readiness workshops, and providing pro bono services. Margaux received a dual degree in business (MBA) and social work (MSW) from USC, and she received her bachelors degree from the University of Virginia. Margaux has applied her strengths toward the fundraising, pre-production and publicity of “Kavi.” This is her first film. GENTRY SMITH hails from Dallas, Texas. He has done sound work for numerous independent films and television projects, including “Real World: Brooklyn” and sound design work for JibJab.com. He holds an MFA in Film Production from the University of Southern California, and a BA in Studio Art from Arizona State University. He has worked as a cartoonist, Tarot reader, illustrator, masseur, graphic designer, proofreader, video store clerk, lackey, purveyor of fine used books, and human guinea pig. PATRICK KIRST hails from Germany, and is one of Hollywood’s next generation of film composers providing a fresh and unique voice in the film music industry. His most recent credits include the documentary Humanity United: At the end of Slavery, produced by the International Justice Mission (IJM), and additional music for Disney’s first Nature Documentary release Earth, based on the BBC’s hit show Planet Earth. In 2007 he joined the adjunct faculty at USC. He is honored to be part of the incredibly talented pool of faculty members and enjoys sharing his experience as an artist in today’s highly competitive film music market. 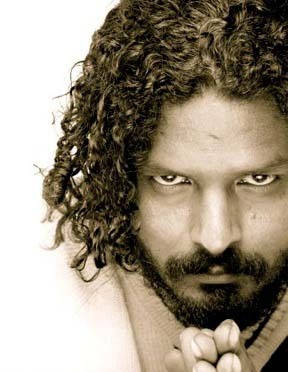 “Kavi” – Acting comes naturally to SAGAR SALUNKE. Hailing from Mumbai, Sagar has wowed his co-actors as well as accomplished Indian actors like Rahul Bose, Nandita Das and Shernaz Patel with his prowess in various projects. His repertoire includes award winning director Manmohan Mahapatra’s Bits And Pieces, Anurag Kashyap’s Rajuben and now the Oscar-nominated Kavi. He was 13 years old during its production and has since landed a recurring role on an Indian TV series due to his involvement with “Kavi.” Sagar dreams to be a mainstream actor someday, but as of now his studies are his priorities. 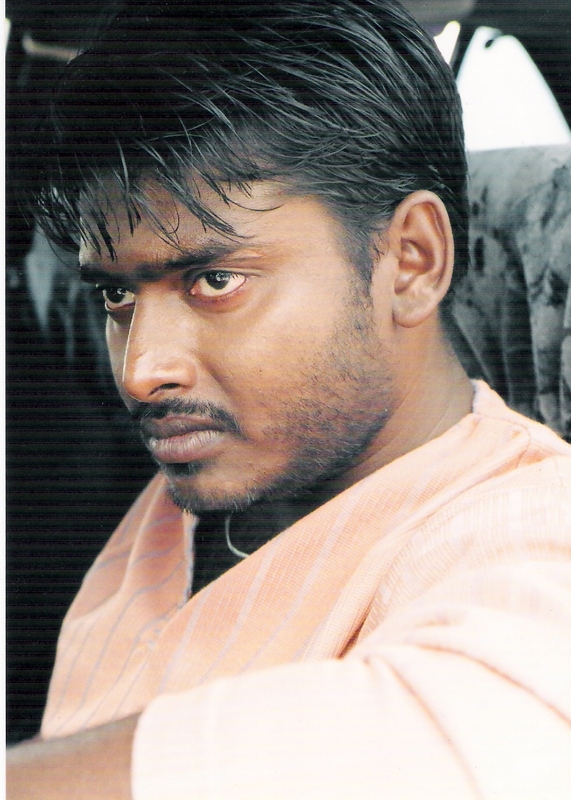 “Samrat” – Multi lingual and multi faceted, ULHAS TAYADE received a MBA in marketing and later turned to writing, direction and finally acting. He has English, Hindi, Marathi and Telugu films to his credit. In Sharpe’s Peril (2008) he rubbed shoulders with internationally acclaimed artists like Sean Bean and Michael Cochrane. Currently residing in Mumbai, Ulhas is gearing for his directorial venture, Kabhi Kabhi Mumbai Mein, a simple self written story highlighting the naivete of today’s youth when it comes to relationships. 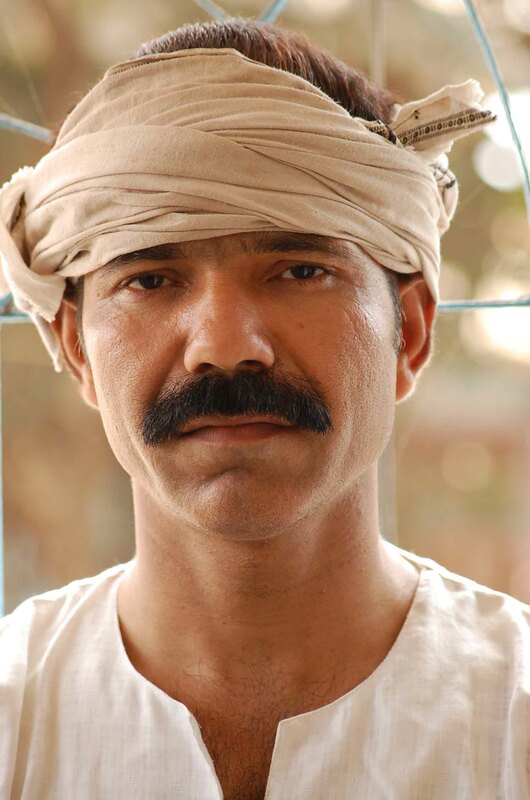 “Father” – RAJESH KUMAR has been acting in Hindi and Urdu plays and films for over eight years. His repertoire includes critically acclaimed films like Parzania, Halla Bol & The Curse of King Tut’s Tomb. “Mother” – MADHAVI JUVEKAR is a multi-award winning actress of Marathi and Hindi plays and films. She has received over 70 awards including the Alfa Gaurav, Maharashtra Times Sanman & Maharashtra Government Award for Best Actress. Her notable films are Tingya (Awarded 1st in MAMI International Film Festival), Ek 7 Free and Mi Amruta Deshpande Bolatey. “Arvind” – DIBYENDU BATTACHYARA is an alumnus of the prestigious National School of Drama in New Delhi, India. His many awards include the Best Actor Award from the IPTA (Indian People’s Theatre Association). His recent work has him playing the protagonist in a Canadian film, Crossroads, directed by an Afghani-Canadian director Edris Azizi. His repertoire includes critically acclaimed Hindi films like Black Friday, Goal, Mangal Pandey, Monsoon Wedding, Hazaron Khawishen Aisi and DEV.D, where he played the role of Chunnilal. “Vishal” – Model and actor from India, RISHI RAJ SINGH was a finalist in the international talent hunt, ‘ India’s Best Cinestar ‘ hosted by leading entertainment corporation ZEE Television Network. He has worked in scores of short films and with a number of independent filmmakers. His upcoming projects include socio-political drama BHOOMI (Homeland), where in he plays the protagonist. The movie is directed by two-time nationally awarded cinematographer Abhik Mukhopadhya (Paatal Ghar, Bunty aur Babli, Chokher Bali, Last Lear) and boasts of a stellar cast including Rajat Kapoor, Pawan Malhotra, Seema Biswas & Piyush Mishra. “Guard” – MUKESH BARAHTI has 7 years of theater experience in New Delhi and has appeared in films such as Musafir, Dubai returns, ek din 24 ghante, Mr. ya miss, Shoonya, Ghajini, Yeh Hausala Fox, etc. Various industry mentors from both the Indian and American film industries have served as mentors throughout the process of this project. Faculty Mentor – BRUCE BLOCK is a producer, author and visual consultant whose career spans over 30 years. He also teaches seminars on visual structure in storytelling at University of Southern California (USC) School of Cinematic Arts. Block has produced such films as Something’s Gotta Give (2003), What Women Want (2000) and Father of the Bride (1991). Sound Mentor – KEVIN O’CONNELL is a 20-time Academy Award nominated sound re-recording mixer. He has mixed such films as Empire Strikes Back, Top Gun, Memoirs of a Geisha and Transformers. Editing Mentor – KEVIN TENT has over 20 years experience editing motion pictures. His editing credits include such films as Sideways, Blow, The Golden Compass, About Schmidt and Election. Script Mentor – BART GAVIGAN is a writer and filmmaker who runs clinics for major European and Hollywood screenwriters. He is an advisor to the Sundance Institute and has acted as advisor to Equinox and British Screen in Europe. He wrote and produced Luther starring Joe Fiennes. 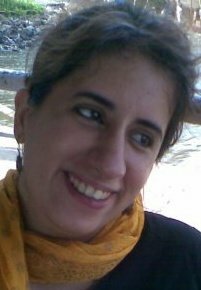 Casting Mentor – UMA DA CUNHA is a top casting director in India. She has casted for leading directors such as Mira Nair (“Monsoon Wedding”, “Kamasutra”), Deepa Mehta (“Earth” and 2007 Oscar nominated, “Water”), Jane Campion (“Holy Smoke”), Aamir Khan (the British extras in “Lagaan”) and Dev Benegal (“English August”). She has worked with prestigious Indian directors such as Satyajit Ray, Shyam Benegal and Buddhadeb Dasgupta.